Welcome, I hope you are enjoying the hop so far. As you would have seen we had an extra special activity at the CKC blog this month for the Master Forgers. 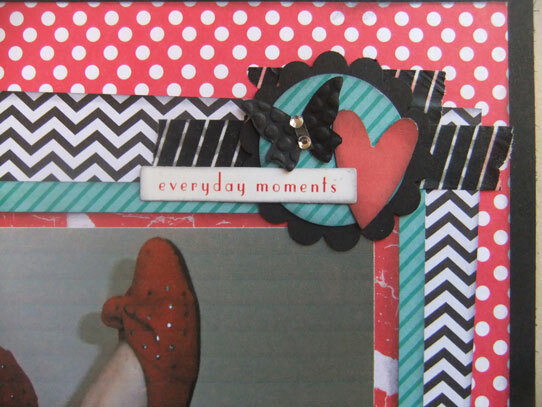 Papers are by Kaisercraft (Red Polka Dot and Teal stripe) and Amy Tan (Black and White Chevron). 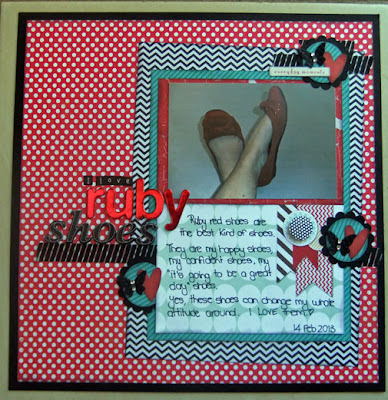 The photo mat and journalling card are both from Fancy Pants "The Good Life" collection. 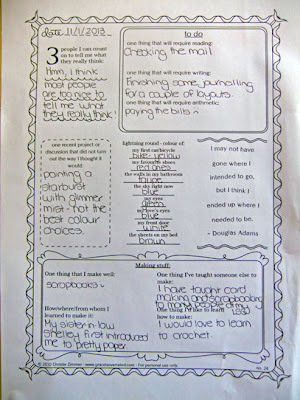 This was a fun activity to complete and it is nice to get a little bit more about me in my albums. I hope you have enjoyed getting to know the Master Forgers a little better. Your next stop on the hop is Lynette. Love it! Great story and great page (I love the multi-layered pattern backgrounds!). This is such a wonderful layout!!! I love the photo, the colors and the hearts/butterflies! The title is fabulous, too! Hi Lisa - Ruby shoes are totally the best kind of shoes! 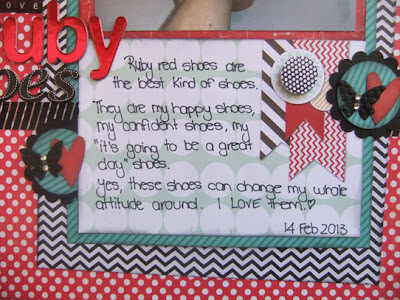 I loved reading your prompt answers and the way that red shoes shape your day. It was so nice to learn a little about you! how nice to scrap about your favourite shoes. Crotchet can be so relaxing. I neeeed some red shoes - I've been yearning for some for ages and I just know I would feel the same way. Your page is , as ever, fun, bright, happy and just super!